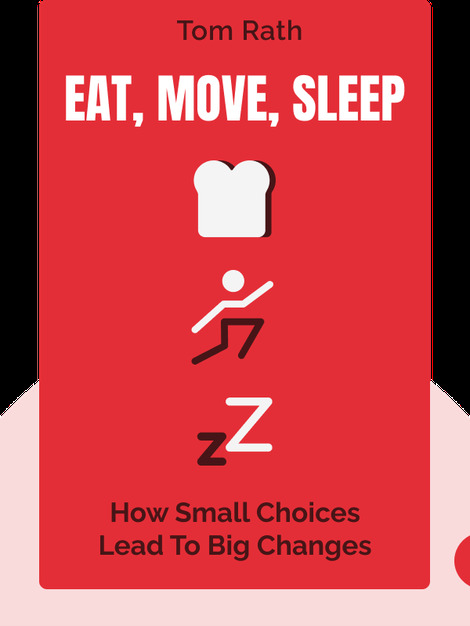 Eat, Move, Sleep (2013) offers simple tips for improving your health and well-being in some very important ways. You don’t have to revolutionize your lifestyle to get in shape and increase your energy levels – little changes can make a big difference, and these blinks will show you how. 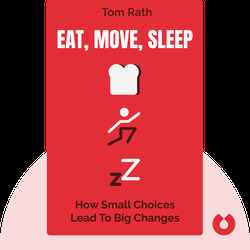 Tom Rath learned the value of living a healthy lifestyle when he was diagnosed with a serious illness as a teenager. Though his illness could have killed him, he learned to take control of his body and live a healthy and fulfilling life by making positive changes in the ways he eats, moves and sleeps.